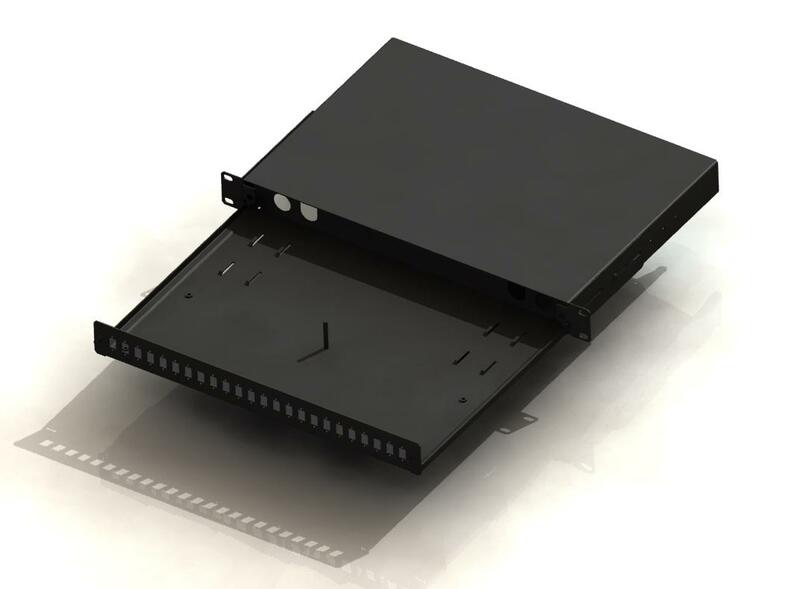 Patchpanel 1U 19’’ SLIDE LONG is used for terminating fiber optic cables in 19’’ wallmounted cabinets. The maximum number of ports is 24 x DX. 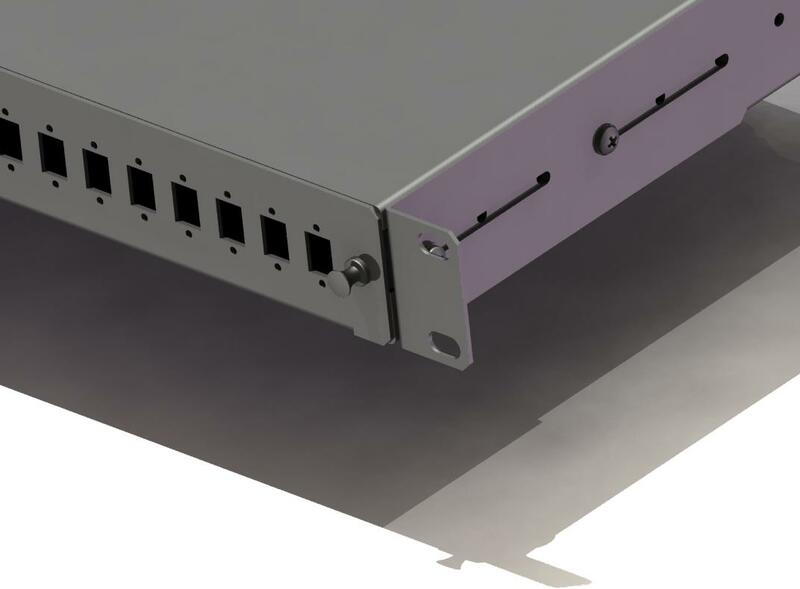 The patch panel dimensions are 19’’ x 1U x 300mm. It is made of steel painted in grey (RAL 7035) or black (RAL 9005). 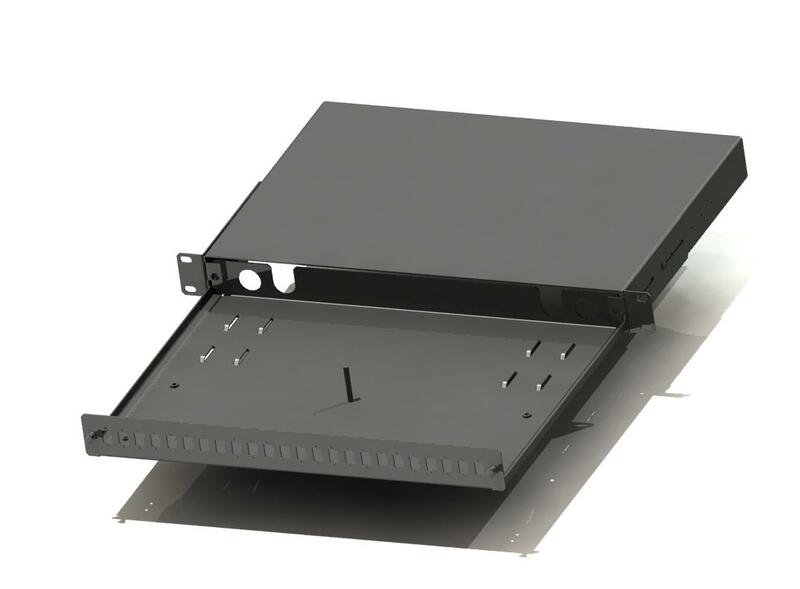 Due to the adjustable side handles patchpanel may be mounted in a cabinet. 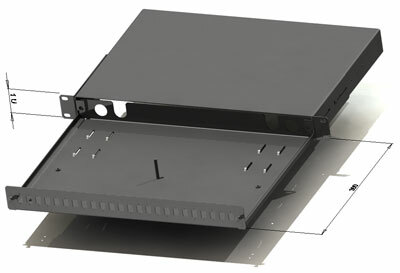 A removable drawer with splice cassettes provides an easy access to the splice places.